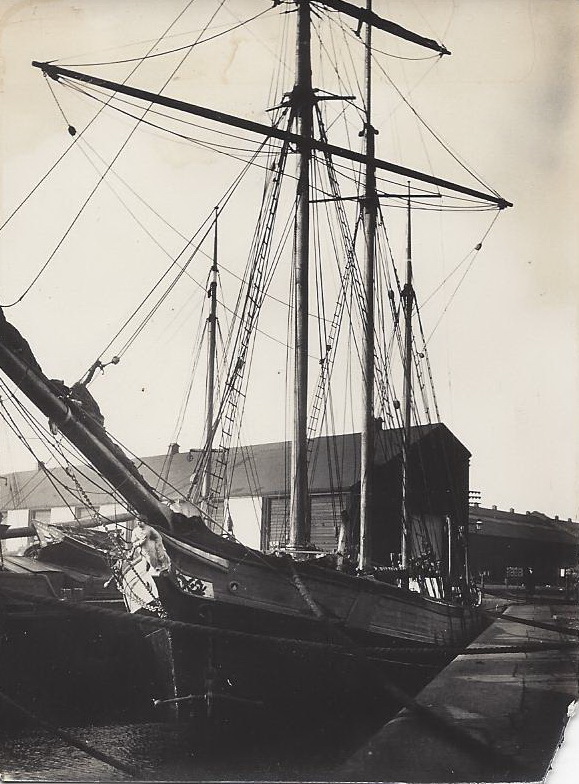 They were collected by my grandfather and, I believe, some he inherited from his father, during his years as master of the Ceres, a Westcountry trading ketch. 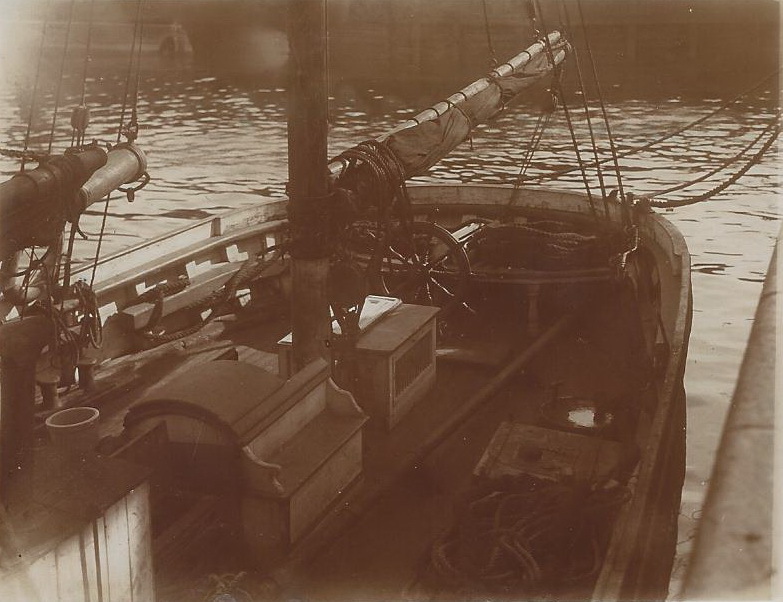 I have no record of whether he took any of these photographs himself but I note that most of them are of ships in ports that Ceres would have visited. 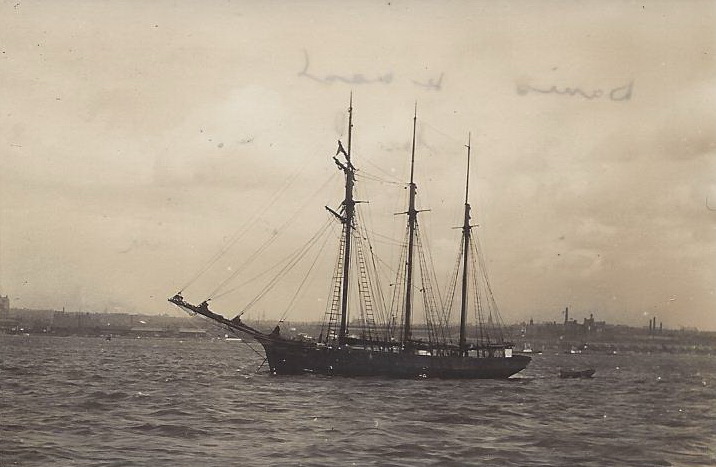 The captions are copies of the notes on the back of the photographs – I have added the punctuation. 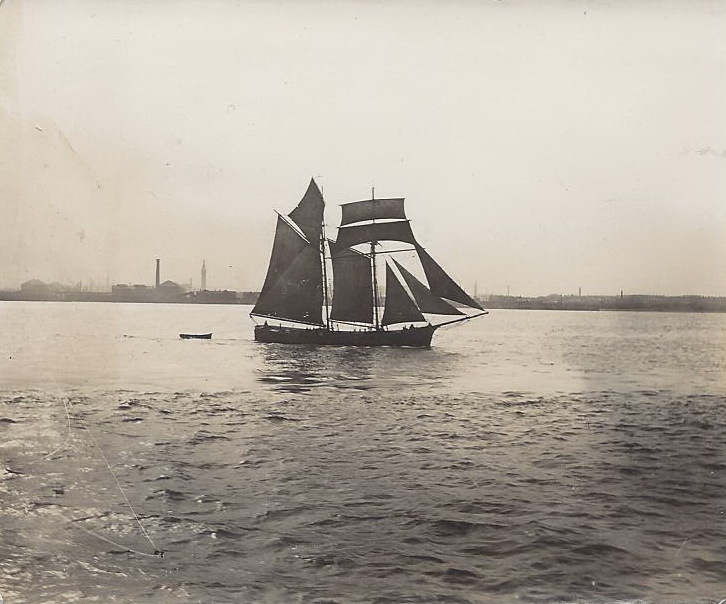 Links: Merchant sailing vessels 2, Merchant sailing vessels 3. 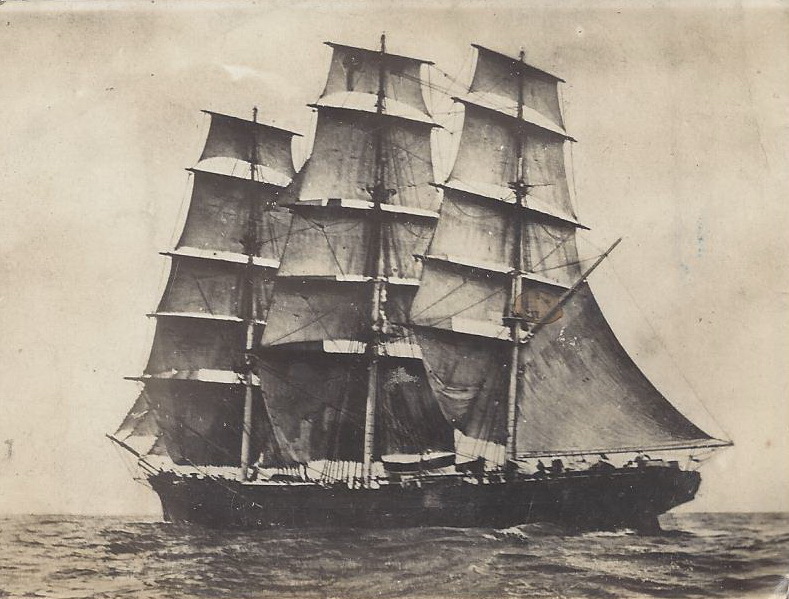 ‘Ethel May’ of Chester, built 1878 by Jones, Rhyl Shortly after publishing this photograph, in March 2015, I received an email from the Great Granddaughter of the captain: “The Ethel May was built at Rhyl, North Wales, in 1878 (65 tons) owned by John Kearney of Co. Down. 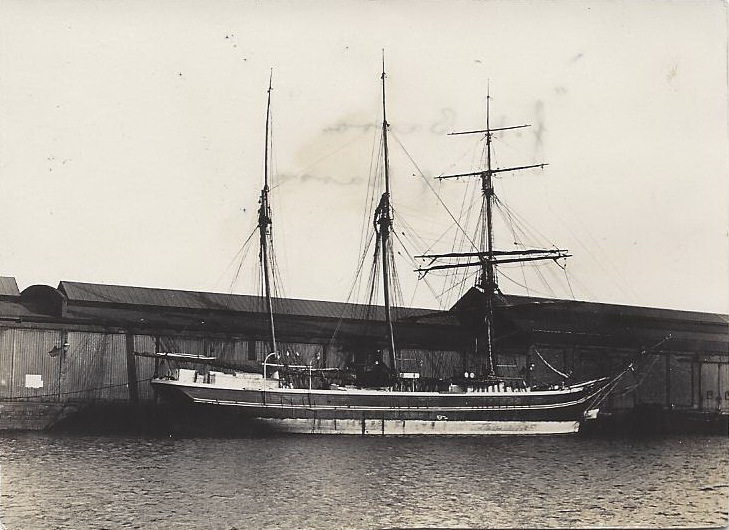 My Great Grandfather, Richard Coppack was her captain. 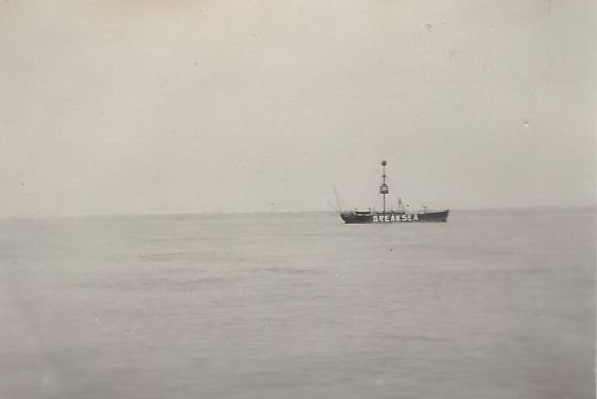 My Aunt was named after the boat, although she always felt it should have been the other way around. 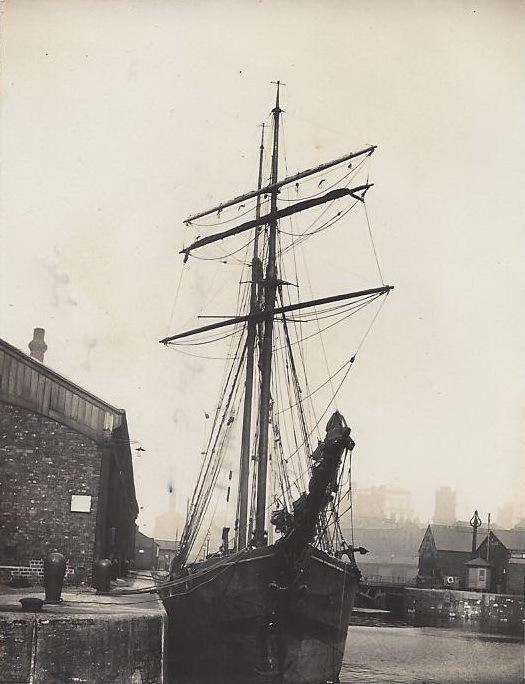 Both of my mother’s grandparents were mariners, one a river pilot on the Dee. 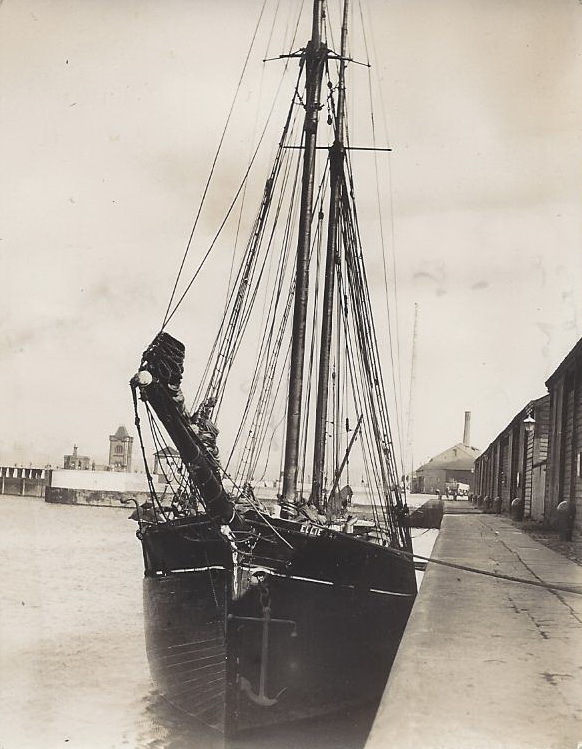 The Coppacks were mariners of Connah’s Quay on the North Wales coast. During a hurricane(!) in November 1890 (The Times 12th November 1890) my Great Grandfather drowned, having been washed overboard whilst his boat was being rescued. I have a pair of binoculars which belong either to Richard or my other Great Grandfather, Stephen. Sadly, my mother cannot remember which (she is 101 ). I found your website as I am trying to track Richard Coppack down. 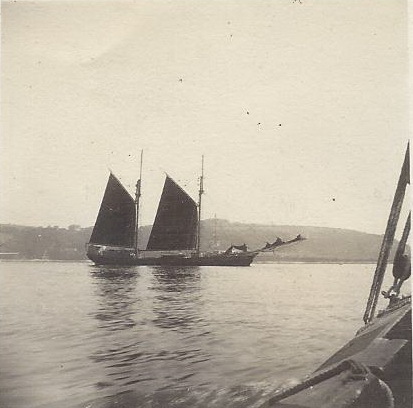 He is on the census of 1881 on the George Evans in Cardigan and prior to that in Whitehaven on a “vessel”. I would love to know more about what he was doing there, his cargo etc. 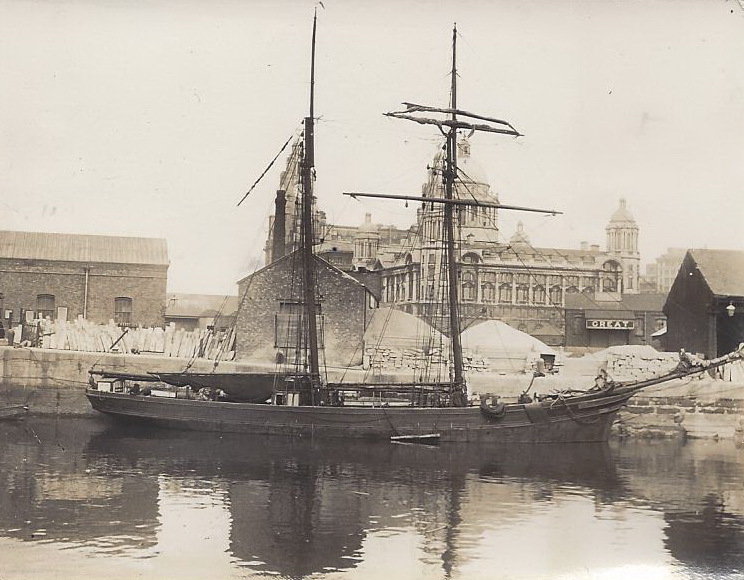 From the photo, it looks like it could have been taken in Liverpool, on the Mersey.” If you have any information about Richard Coppack, the ‘George Evans’ or the vessel in Whitehaven, I would be happy to pass it on. 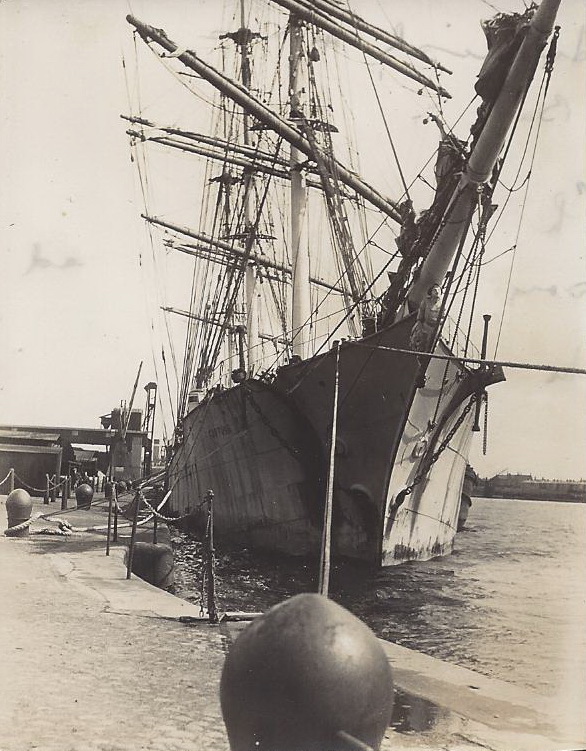 ‘Fortuna’, Argentine ship discharging whale oil at Birkenhead just previous to leaving on her last trip. 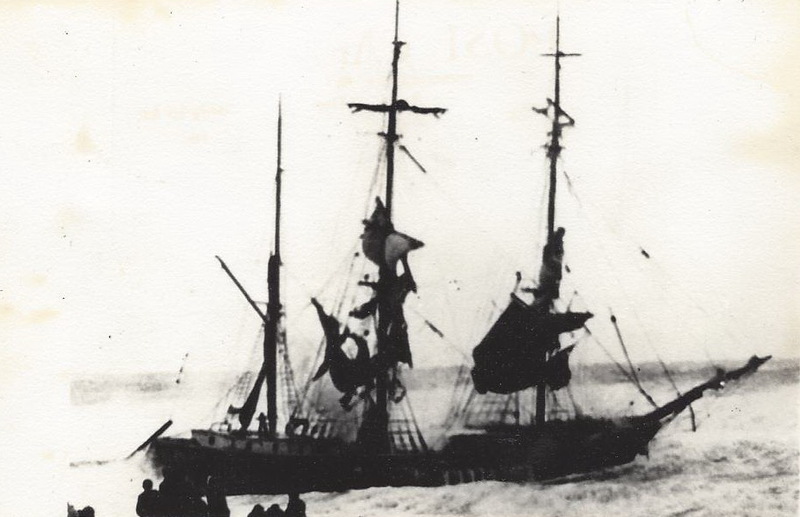 You will remember she was destroyed by fire during gale off Irish coast 1927. 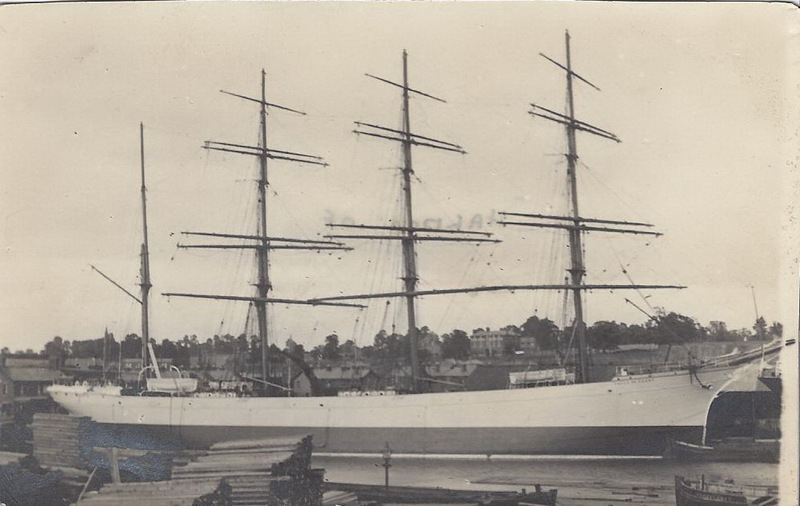 Her crew were all Norwegians. I have looked for years for a picture of the Ellie Park. 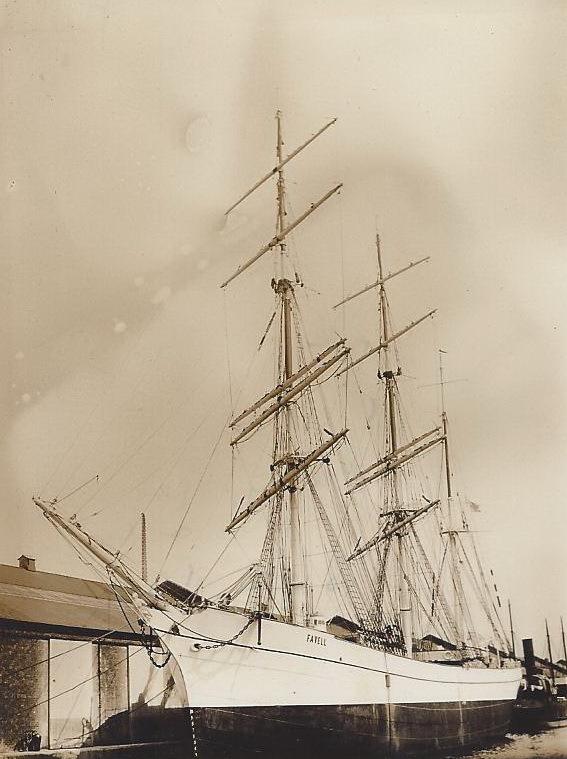 My great grand father, Captain William McVeigh Skippered her out of Annalong ,Co Down. 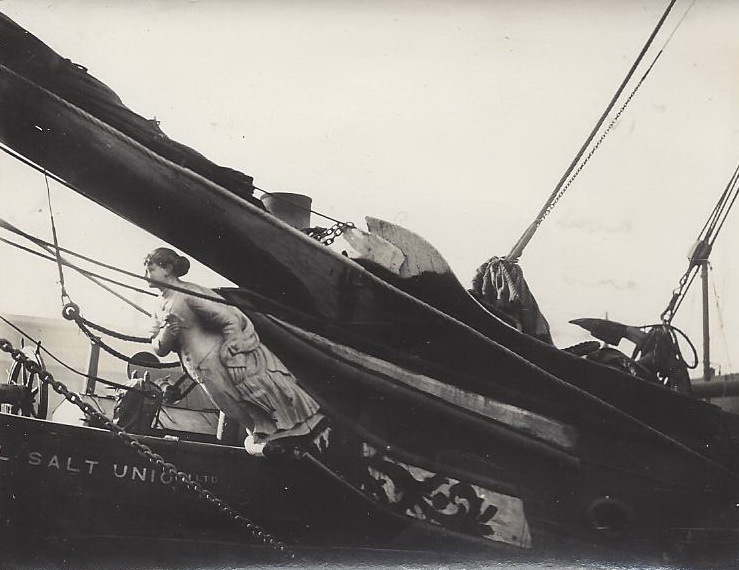 We have a very old etching and a poor picture of her stern at Liverpool discharging granite ( which was recently discovered by my father hanging in the local (Annalong) stone mason’s office when, well when, he was honouring my mother) and his service medals. I could not believe it when I found this photo. it brings 20 years of searching to an end but raises one question….If you can help. where do you think the photo was taken? So grateful you put these photos up.